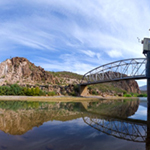 AMWUA vigorously protects our members’ ability to provide assured, safe, and sustainable water supplies and advocates for Arizona’s continued water security. Description: The House and Senate Joint Resolutions authorize the Director of ADWR to enter into the interstate Lower Basin Drought Contingency Plan (DCP) agreements, if: federal legislation is enacted directing the Secretary of the Interior to execute the DCP agreements, and if all other parties to the DCP have authorized the execution of the agreements. 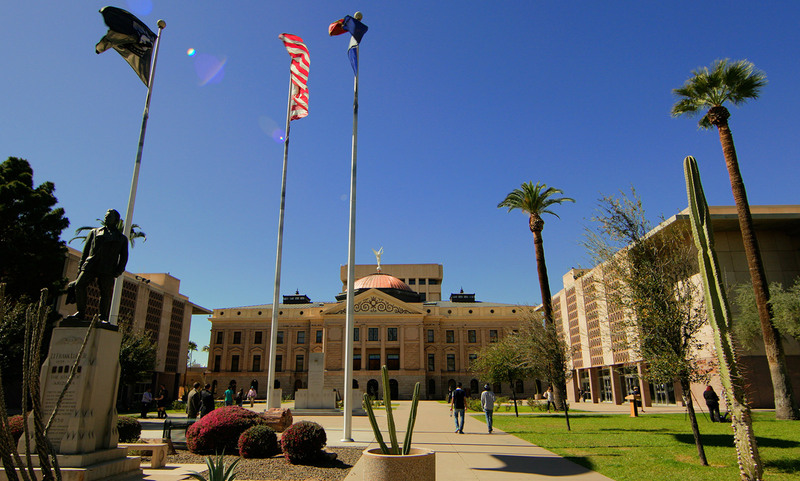 In Brief: The DCP Omnibus bills contain statutory amendments and appropriations for the implementation of the LBDCP in Arizona. Description: The DCP Omnibus Bill contains various statutory amendments and legislative actions that were identified in the DCP negotiation process as material for the successful implementation of DCP within Arizona. The Omnibus Bill includes the following elements, which were also introduced as individual bills in the House: 1. 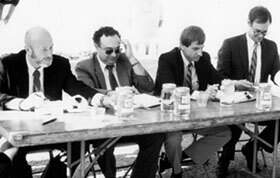 Creation of an Arizona System Conservation Fund administered by ADWR for the purpose of spending monies from various parties on Colorado River system conservation. 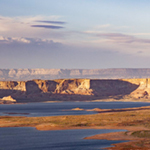 This component contains an appropriation of $30 million which is intended to purchase 150,000 acre-feet (AF) of system conservation from the Colorado River Indian Tribes. 2. Creation of a temporary fund to finance groundwater withdrawal infrastructure projects in Pinal County and the Harquahala INA, as well as authorization for redistribution of Pinal County Groundwater Withdrawal Fees normally collected for use by the Arizona Water Banking Authority (AWBA). As amended, SB 1227 contains an appropriation of $9 million for the fund. 3. Elimination of the 2025 sunset for effluent storage sunset, and amendments to the Groundwater Code allowing for 95% long-term storage credit accrual for effluent storage at an existing effluent managed underground storage facilitiy (USF). 4. Alterations to the Groundwater Code for entities who do not currently qualify to earn Long-Term Storage Credits under the WaterBUD provision. As amended, water stored at a Groundwater Savings Facility (GSF) in Pinal County to support DCP may now qualify for credit accrual, up to 15,000 AF per year. 5. 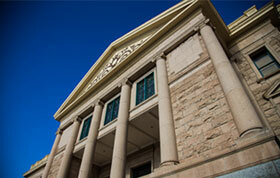 Session Law authorizing the AWBA to transfer LTSCs between Active Management Areas (AMA). This provision enables USF to GSF storage arrangements between the Phoenix, Tucson, and Pinal AMAs negotiated in the DCP stakeholder process. In Brief: Appropriates $30 million from the general fund to the Water Infrastructure Finance Authority (WIFA). Description: This bill appropriates $30 million from the state general fund to the Water Infrastructure Finance Authority (WIFA). WIFA is a state agency that provides low-interest loans to water providers. It is assumed that the intent is to provide funds for the Water Supply Development Revolving Fund. Description: These bills state that in an initial Active Management Area, a person who holds a certificate of irrigation grandfathered right may exercise that right to withdraw groundwater to water plants in containers on or above the surface. Among other things, the bills also require the right holder to separately measure any groundwater used for watering plants in containers and groundwater for irrigation; however, the total amount of water may not exceed the amount allowed by the irrigation water duty for the farm. In Brief: Appropriates $15 million from the general fund to the Water Quality Assurance Revolving Fund (WQARF). Description: This bill appropriates $15 million from the general fund to the Water Quality Assurance Revolving Fund (WQARF) in fiscal year 2019-20. WQARF is a state-sponsored program established by the Legislature and administered by the Department of Environmental Quality to clean up hazardous soil and groundwater contamination. Description: This bill mandates measuring and annual reporting for nonexempt groundwater wells throughout the state. Nonexempt wells include those with a pumping capacity greater than 35 gallons per minute (gpm). Current law contains no measuring requirements for wells outside of the Active Management Areas (AMAs) or Irrigation Non-Expansion Areas (INAs) except for a person who withdraws groundwater for transportation to an initial AMA. In Brief: Establishes requirement for counties to establish mandatory adequacy provisions for subdivision development approval. Description: This bill would mandate that counties outside of the Active Management Areas (AMA) adopt a adequate water requirement for subdivided lands within the county. Currently counties outside of an AMA have an option to adopt the mandatory adequacy provisions upon unanimous vote of the county Board of Supervisors. 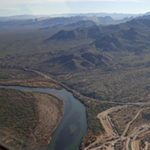 In Brief: Establishes statutory classification for ecological water, directs ADWR to survey the condition of Arizona watersheds. Description: This bill adds a statutory definition and provides for the appropriation of “ecological water.” Current statutes allow for the appropriation and beneficial use of water for fish and wildlife purposes, but not explicitly for the benefit of the watershed or ecosystem as a whole. SB 1370 would also require the Director of ADWR to perform a one-time survey of Arizona’s watersheds, identifying any ecological water needs, and recommending any necessary environmental or policy improvements. In Brief: Appropriates $740,000 for the Department of Water Resources to hire new staff. Description: This bill declares the Legislature’s intent to appropriate $740,000 to ADWR for the purpose of hiring hydrologists, geographic information system professionals, and other support staff. 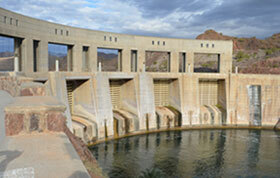 ADWR has stated that it faces challenges in competing with California for the hiring of technical hydrologic staff. In Brief: Appropriates $15 million for the removal of invasive vegetation for the purposes of fire and flood prevention and conservation of water and habitat. Description: This bill would appropriate $15 million from the general fund for the Game and Fish Commission to provide grants to municipalities, counties, tribes and political subdivisions of the state for projects to eradicate invasive vegetation. 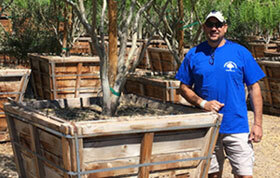 The projects must assist in fire and flood prevention and conservation of water and wildlife habitat. In Brief: Directs the State Forester to establish a best land management practice program for wildfire prevention. Appropriates $4 million. Description: This bill directs the State Land Commissioner and State Forester to establish a program promoting best land management practices for the removal of hazardous vegetation on state land for the purposes of fire suppression and watershed management. SB 1477 outlines the program requirements to specifically include a plan for removal of hazardous vegetation from federal and tribal lands for the purposes of protecting infrastructure and municipal water supplies. The bill would appropriate $4 million from the general fund for the program. In Brief: Requires cities or towns containing Wildland-Urban Interfaces to adopt ordinances requiring property owners to remove wildfire hazards. Description: The Wildland-Urban Interface (WUI) is a federal land classification for areas where communities are located in and around forests. SB 1478 would require that cities or towns that contain a WUI must adopt an ordinance requiring private property within the WUI to remove any vegetation, natural fuels, or trash which constitute a wildfire hazard. This bill appropriates $1 million for cities or towns to use in matching programs for the wildfire fuel removal. 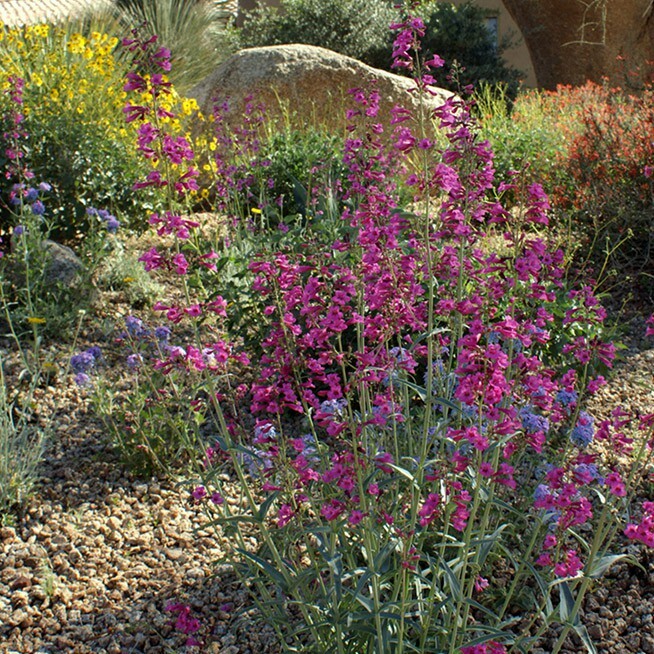 In Brief: Forbids property owners and HOAs from prohibiting water conservation devices or practices. Description: This bill would forbid the owner of a property or Homeowners Association from prohibiting the use of a water saving device or water conservation practice as part of a property contract or rental agreement. Description: This bill extends the legislative authorization for the Arizona Navigable Stream Adjudication Commission (ANSAC) for four years to June 30th, 2024. 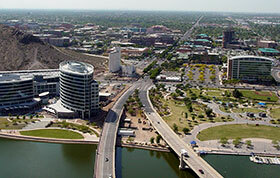 The ANSAC is charged with determining which of Arizona’s rivers and streams were navigable at time of Statehood. If determined to be navigable at time of Statehood, the land beneath the watercourse is subject to ownership by the State to be held in public trust., If non-navigable, the watercourse is subject to ownership by the person whose property it crosses. The commission was previously scheduled to sunset on June 30, 2020. 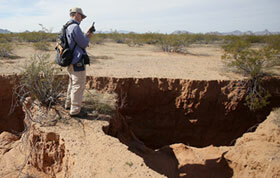 In Brief: Appropriates $1 million from the general fund to the Arizona Water Protection Fund. Description: This bill would appropriate $1,000,000 from the state general fund in fiscal year 2019-20 to the Arizona Water Protection Fund. 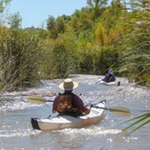 The Arizona Water Protection Fund is a state-run program administered by ADWR that funds projects to protect and enhance water quality and quantity in Arizona's rivers, streams, and riparian areas. 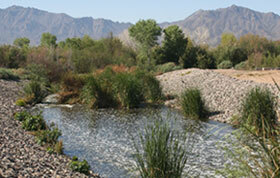 Some of these efforts include revegetation, erosion control, channel stabilization, research, and water conservation. In Brief: Appropriates $20 million for agricultural irrigation districts to develop groundwater withdrawal infrastructure. 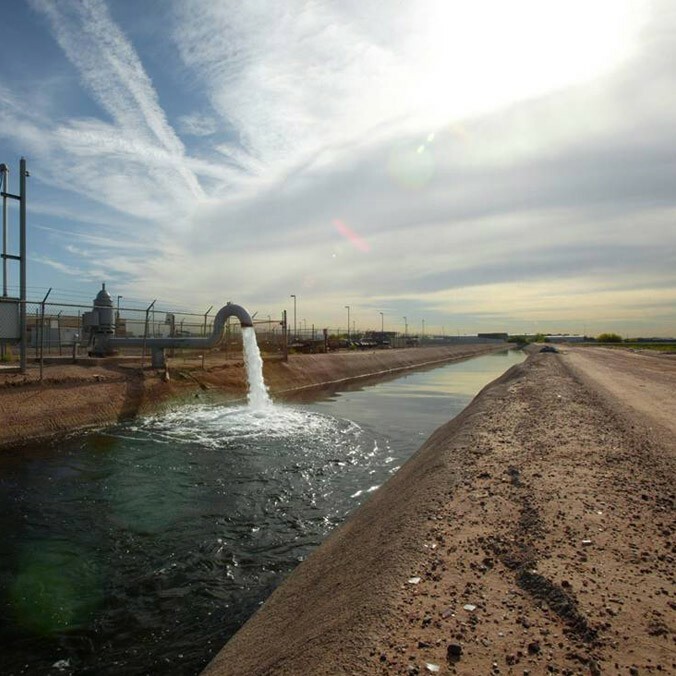 Description: This bill would appropriate $20 million from the state general fund for the development of groundwater infrastructure projects, primarily in Pinal County. 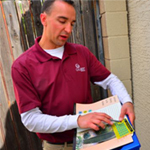 In Brief: Updates to Arizona's plumbing code to require water efficient fixtures. Description: This bill, originally introduced as HB 2394, updates Arizona’s water efficiency standards for indoor water fixtures, starting in 2020. Arizona’s efficiency requirements for plumbing fixtures have not been updated since they were last aligned with federal standards in 1992. HB 2394 would bring these efficiency standards into alignment with the voluntary Environmental Protection Agency (EPA) WaterSense standards, a national water efficiency certification program. AMWUA did testify in support of this bill; however, the House Natural Resources Energy & Water Committee rejected it along party lines. Description: This striker would allow a county that is not in an AMA, through a unanimous vote of its county board of supervisors, to vote not to readopt the mandatory 100-year adequate water supply requirement. Upon rescinding the provision, the county would not be able to readopt the adequacy requirements for five years. The original bill was modified in committee with a strike everything amendment on February 19, 2019. Description: This striker announces the Legislature’s intent to appropriate $289,500 to the Administrative Office of the Courts as aid to the Special Water Master who oversees the General Stream Adjudication. The monies are allocated to electronic improvements to the case management system as well as for funding of administrative support personnel. Description: This bill provides for the establishment of a Mohave County West Basin and a La Paz County West Basin Water Users Advisory Council, each made up of 10 appointed members. The Councils are tasked with reviewing groundwater withdrawal data and recommending programs and policies to ADWR for the regional groundwater basins. The Councils are required to submit a report of their respective findings to ADWR, the Governor and the Legislature by December 31, 2022. The Councils terminate on July 1, 2027. In Brief: Redefines the maximum pumping capacity for groundwater withdrawal wells exempt from the Groundwater Code. Description: The Groundwater Code defines exempt wells as those with a maximum pumping capacity of less than 35 gallons-per-minute (gpm) used to withdraw groundwater for non-irrigation uses. These wells are exempt from most of the provisions of the Groundwater Code. This bill alters that criterion, changing the threshold for exemption to a maximum capacity of 20 gpm of pumping capacity. Description: This bill mandates measuring and annual reporting for nonexempt groundwater wells throughout the state. Nonexempt wells include those with a pumping capacity greater than 35 gallons-per-minute. Current law contains no measuring requirements for wells outside of the AMAs or INA except for a person who withdraws groundwater for transportation to an initial AMA. In Brief: Establishes requirement for counties and municipalities to require water-free urinals in public buildings. 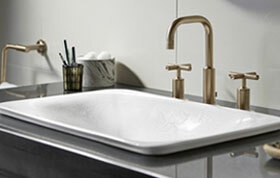 Description: As amended, this bill establishes that counties and municipalities must require the installation of water-free or ultra-low water use (≤0.5 gallon) urinals in all new construction or remodeling of existing public buildings where costs exceed $10,000. The bill also mandates that within two years after the effective date of the legislation, all flushable urinals located in state buildings shall be replaced with the alternative fixtures. 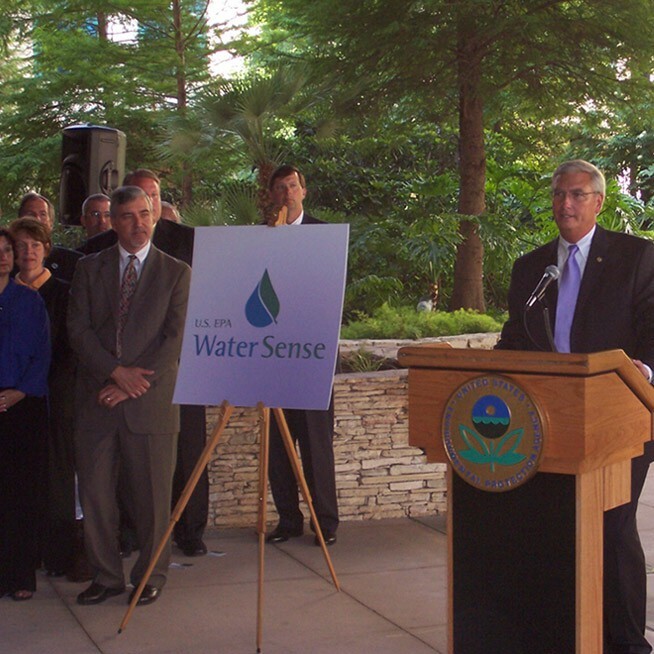 Representative Thorpe has expressed that his intention is to execute a pilot test of the low water use fixtures in the House and Senate buildings, however, as written the bill would still require municipalities and counties to replace existing restroom fixtures upon initiating any new construction or renovation of existing buildings where costs exceed $10,000. 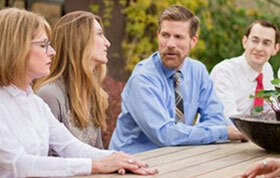 AMWUA staff are seeking clarification and amendments to HB 2428 so that AMWUA can support this bill. 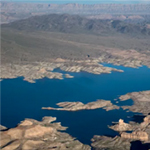 Description: This bill would add statutory language prohibiting the transfer of any Priority 4 Colorado River water from Mohave County irrigation and water conservation districts to any other county that does not border the Colorado River. Transfers from Mohave County to La Paz or Yuma Counties would not be prohibited. Description: This bill would allow a county that is not in an AMA, through a unanimous vote of its county board of supervisors, to vote not to readopt the mandatory 100-year adequate water supply water requirement if certain conditions are met. The conditions, which must be met by the county or largest city in the county, include participation in the following: groundwater recharge, reclaimed water reuse, water conservation programs, and use of low water use plants in certain publicly owned areas. This bill reflects proposals that were put forth in the 2016 and 2018 legislative sessions and opposed by AMWUA. In Brief: Removes voter authorization requirement of WIFA loan eligibility for cities and towns with populations ≤150,000 residents. 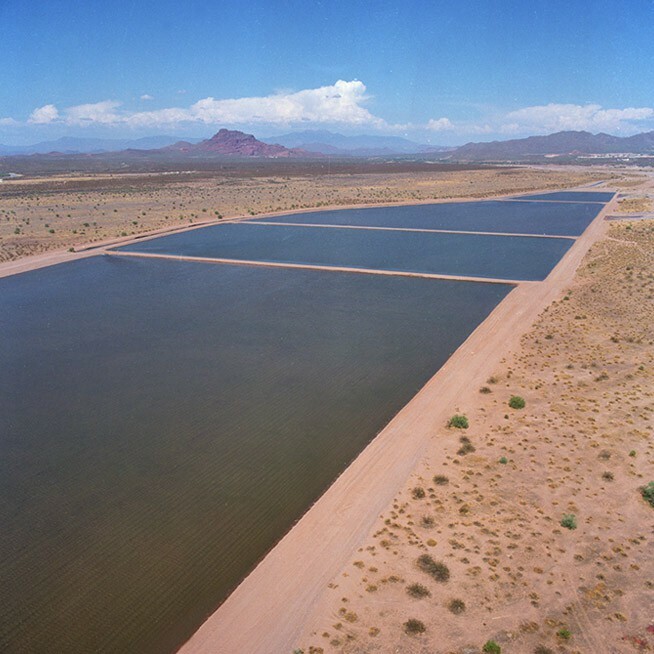 Description: The Water Infrastructure Finance Authority (WIFA) is an Arizona state agency that provides low interest loans for water and wastewater infrastructure improvement. Under current law, any city or town with a population of more than 50,000 must request voter authorization in order to accept a WIFA loan. HB 2464 raises this threshold, applying the requirement to cities or towns with populations greater than 150,000. This effectively lowers the burden of WIFA loan eligibility for municipalities with ≤150,000 residents. Description: This bill provides for the establishment of a West Basin Water Users Committee to serve Mohave and La Paz counties. Comprised of elected officials and other water use stakeholders, the Committee is tasked with reviewing groundwater withdrawal data and recommending programs and policies to ADWR for the regional groundwater basins. The Committee is required to submit a report on its findings to ADWR, the Governor and the Legislature by December 31, 2021. The Committee terminates on July 1, 2022. In Brief: Requires ADWR to adopt emergency rules for existing agency processes relating to Colorado River transfers. Description: Requires the Director of ADWR to adopt an emergency rule that describes the policies and procedures of the Department when providing review and consultation of any transfers of Colorado River water rights and contracts. 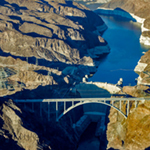 The emergency rule would also be required to outline the criteria the Department will use to evaluate any proposed transfers, leases, or allocations of mainstream Colorado River water. Current law (A.R.S. § 45-107(D)) already requires that any party preparing to transfer an allocation or entitlement of Colorado River water is obligated to submit the proposed contract to the Director of ADWR for review prior to its execution. ADWR presently operates under Substantive Policy Statement CR10 which governs the procedures for obtaining Departmental consultation and outlines the criteria that the Department uses to evaluate water transfers. The Director of ADWR adopted CR10 on January 16, 2019 and it revised previous substantive policy statements on this issue. In Brief: Removes the statutory provision in Arizona water law classifying the act of taking another's water via groundwater well as a Class 2 Misdemeanor. Description: Arizona law classifies the act of unauthorized “taking water that another is entitled to” as a Class 2 Misdemeanor. As amended, this bill exempts a person from criminal charges for taking water, including subflow of a river or stream, through a registered well if that individual does not have knowledge that the water is subflow. 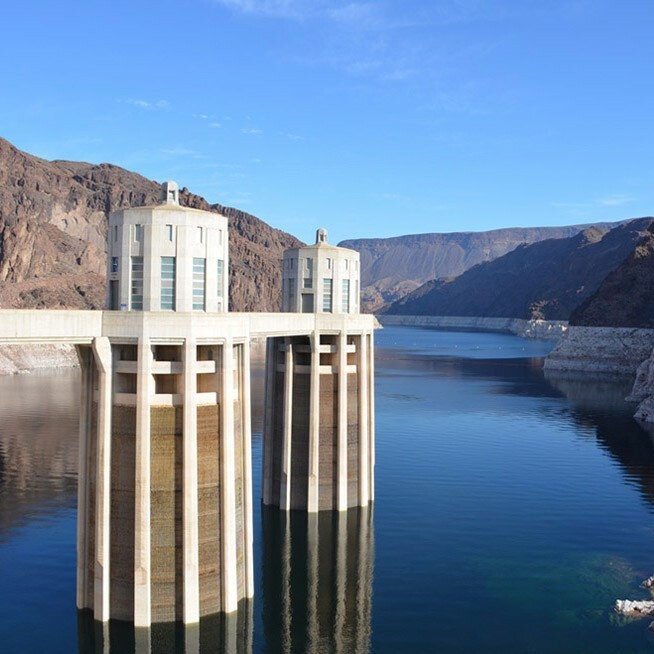 In Brief: Alters Arizona water law to remove statutes governing the forfeiture of water rights that are not put to beneficial use. Description: Under Arizona law, the owner of a water right that fails to put the water appropriated to beneficial use for five consecutive years forfeits that right. HB 2476 would remove this statutory provision, which could have a wide impact on nearly every water right in the state, and the proceedings of the General Stream Adjudication. 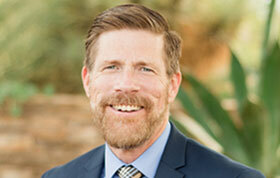 This change conflicts with a prior Arizona Supreme Court ruling that found a previous attempt to retroactively modify the forfeiture of water rights through legislative changes to be unconstitutional. The bill also removes statutory clauses that specifically protect certain types of beneficial use for surface waters of the state, including underground storage and the exchange of effluent or Central Arizona Project water for surface water. While removal of these beneficial use protections may be congruent with removing all grounds for water right forfeiture, AMWUA staff are cautious of any legislation that would eliminate safeguards on underground storage or water exchanges as beneficial uses. In Brief: Removes legislative provisions related to the General Stream Adjudication that were determined by the Arizona Supreme Court to be unconstitutional. 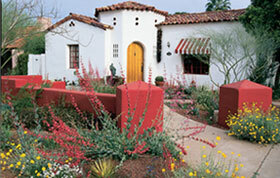 Description: In 1995 the Arizona State Legislature enacted multiple bills with the intent of simplifying and expediting the General Stream Adjudication. After passage, these bills were legally challenged in the Supreme Court by multiple parties. The Court ultimately found that some of the legislative provisions affecting water rights and the adjudication were unconstitutional. 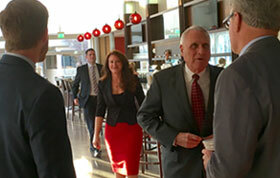 HB 2477 repeals the provisions of statute that were deemed unconstitutional by the Arizona Supreme Court in 1999, though have remained in State statute to the present day. In Brief: Diminishes the statutory requirements for the Assured Water Supply. In Brief: Appropriates $20 million from the general fund to the Water Quality Assurance Revolving Fund (WQARF). Description: This bill appropriates $20 million from the general fund to the Water Quality Assurance Revolving Fund (WQARF) in fiscal year 2019-20. WQARF is a state-sponsored program established by the Legislature and administered by the Department of Environmental Quality to clean up hazardous soil and groundwater contamination. In Brief: Modifies the criteria for analysis of the physical and legal availability of water when ADWR prepares an Adequate Water Supply determination. Description: On August 8, 2018, the Arizona Supreme Court held that ADWR is not required to consider unquantified federal reserved water rights as part of the legal or physical availability analysis in its determination of an adequate water supply. 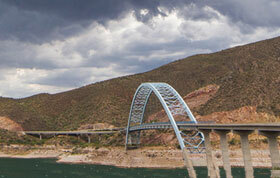 This decision addressed ongoing litigation over a large development near Sierra Vista. The Court’s opinion was predicated on its interpretation of the adequate water supply statutes, reasoning that, (1) ADWR is not required to consider the impacts of an applicant’s groundwater withdrawals on existing uses, but rather that the agency must consider existing groundwater uses on the supply of the applicant, (2) the legislature did not specify that unquantified federal reserved water rights must be considered in the determination of legally available water supplies, and that (3) a private water company’s possession of a Certificate of Convenience & Necessity is, in effect, consumer protection for the legal availability of water. 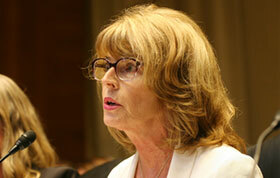 HB 2595 attempts to alter adequate water supply statute to address these considerations. 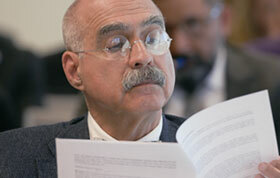 AMWUA staff have identified technical issues with the bill and do not anticipate its movement through the legislature. In Brief: Expands statutory list of entities eligible to pump groundwater in the Harquahala INA for transport to an AMA. 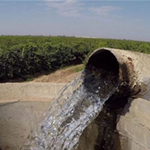 Description: This bill adds a provision to statute allowing private water companies to withdraw groundwater from purchased land in the Harquahala irrigation non-expansion area (INA) and transport that water to an initial Active Management Area (AMA). Previously, only political subdivisions of the state could purchase land and transfer the groundwater to AMAs. HB 2609 also deepens the acceptable level of the water table for groundwater pumping, from 1,000 feet below ground surface to 1,500 feet. In Brief: Designates lemonade as the official Arizona State drink. Description: Statute outlines the official state emblems, which include a state fossil, state bird, state flower, state tree, state neckwear, state gemstone, state animals, state butterfly, state nickname, state firearm, state metal, state mineral and state dinosaur (A.R.S. Title 41, Chapter 4.1, Article 5). There is currently no state drink designated in statute. 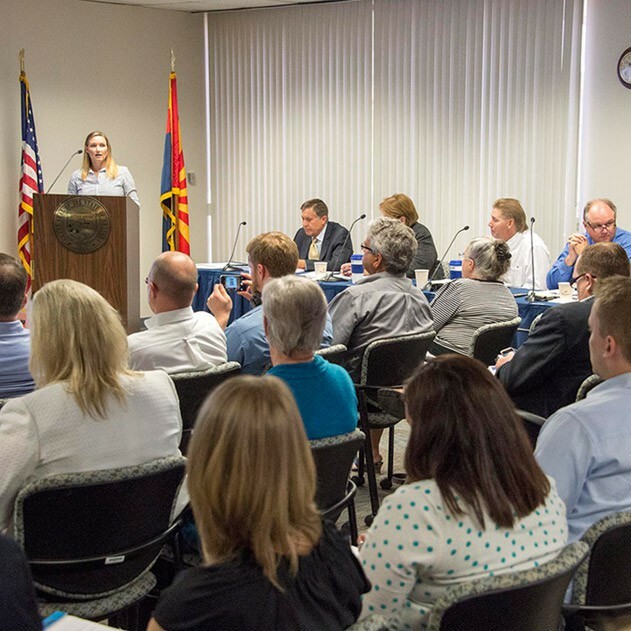 In Brief: Designates April 14-20, 2019 as Arizona Water Professionals Appreciation Week. 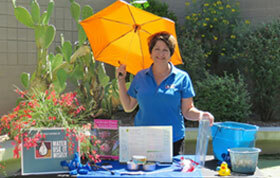 Description: Designates April 14-20, 2019 as Arizona Water Professionals Appreciation Week to express gratitude and appreciation for the water professionals who contribute to the delivery and management of Arizona’s safe and reliable water supplies. OPINION: How does Arizona defend its water against climate change and other threats? Above-average snowpack in the upper Colorado River basin means good news — this year — for the reservoirs that supply Arizona’s water. 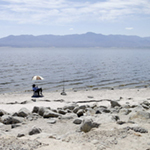 Arizona’s top water official says a lawsuit filed Tuesday by California’s Imperial Irrigation District could pose a threat to the newly approved multistate drought contingency plan. 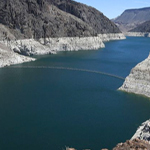 Nearly six years after discussions started, a drought plan for the Colorado River is on the verge of becoming federal law.